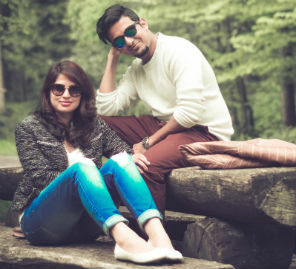 Neha and Yatendra’s honeymoon in Japan was truly unusual and exotic. Neha and Yatendra went way off the beaten honeymoon track with a romantic trip to Japan. In a country that is known for its incredible culture, legendary hospitality and wondrous natural and architectural marvels, the couple had the time of their lives. Neha shares with us highlights and photographs from their vacation. “Given our shared love for traveling, Yatendra and I have made several trips together over the past two years. Japan was high on our long travel list and it left us spellbound with its unmatched beauty. The city of Tokyo amazes you with wide, clean streets, skyscrapers, imperial palaces, national parks and thousands of shrines and temples. The Asakusa Temple, Tokyo Sky Tree, Imperial Palace, and Ueno Park are just a few places we visited during our stay." "Hands down, the best meal of the trip was at Samrat Shinjuku, a famous Indian restaurant. Just a few days into the trip, we enjoyed authentic South Indian dishes flawlessly prepared by a Japanese chef."